It’s been a while since I posted a bug shot. Well, at least a couple of weeks, which is a long bug-holiday for Focused Moments! These are shots from 2010, found today while trying to clear some space on my hard drive. 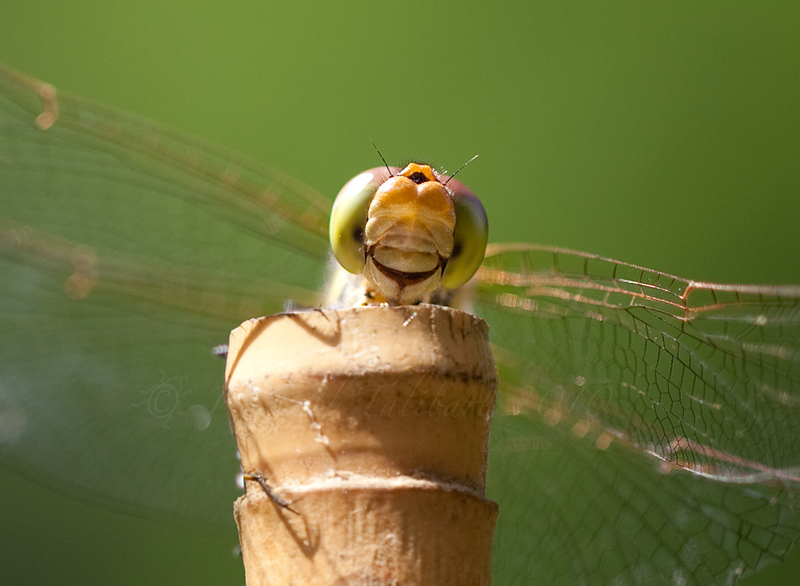 I recently heard someone describe dragonfly faces as scary but I think they’re rather cute; they always look to me as if they are smiling. 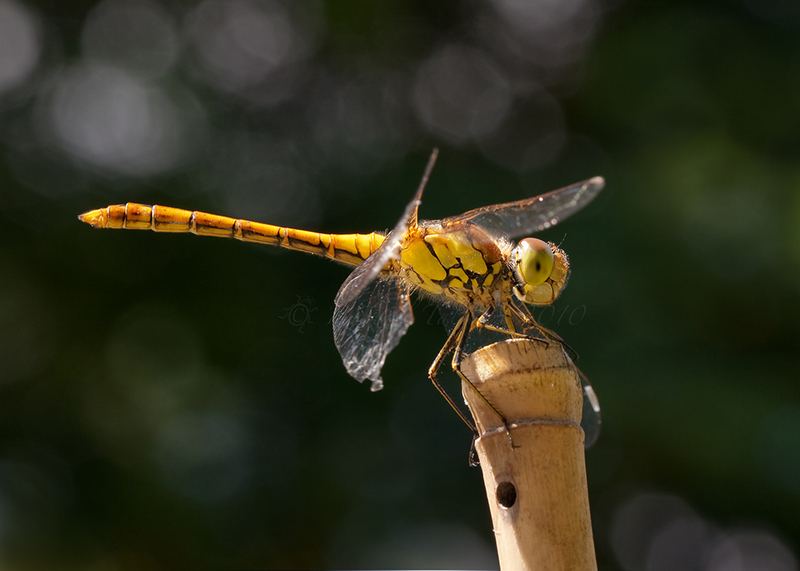 This entry was posted in nature, photography and tagged dragonfly, garden photography, insect, macro photography, nature, nature photography, photography, Tennyson by Rachael. Bookmark the permalink. Utterly lovely poem to go with yet another set of great bug macros. Lovely words and fabulous images. They might be called “cute”, if those big bug-eyes were just a little smaller. But I agree with the smile on its face — or is that the jaws opening up in anticipation of a big bite? Perhaps ;). Actually, I think this one was injured. Its wings looked ragged and it spent an unusually long time on top of the cane. It is the only time I have ever seen one this colour in my garden, so it might have been outside its natural habitat too. That would be most of Korea saying that! As you know, I love them — I think they’ve moved to the top of my favourite-animals list! Every day here I keep a lookout thinking I’ve seen the last of them, with Autumn slowly revealing itself — but every day I spot one or two more, hanging in there, and I give them a little cheer of encouragement. They are gone from here now, for this year. You certainly seem to have a very large population of them over there. Do you also see many back in Brisbane? Thanks. Yes, this was a particularly pretty one. Amazing! I love dragonflies but, they move around so fast. ..it’s nice to see one so close. Thank you! I do admire those who manage to capture shots of them in flight.